In 1902, Isabel Holden, wealthy widow of rancher, property owner, bank president, and stockholder Daniel M. Holden, had this gracious Colonial Revival-Victorian home and carriage house built for herself and her six children. After her death in 1931, this fine old house was allowed to deteriorate and crumble. Enter Sallie and Welling, who spent twelve months laboriously installing a new foundation, plumbing, heating, wiring, landscaping and otherwise refurbishing and loving this fine old home back to life. The carriage house was renovated in 1991 adding two guest suites, sitting room with bay window & “Harvey” the six foot stuffed white rabbit, and a front parlor. The recently opened rose Victorian next door contains the new “Waverly Country Inn Room of the Year” Independence suite with private porch and limited disabled access. The Clarks then filled each house with family heirlooms, lovely antiques, and genuine hospitality. in the main house, Silverton and Goldfield in the carriage house, and the Independence is located in the adjacent rose Victorian next door. The romantic guest suites all boast fireplaces (each working by either remote or thermostatic control), private sitting areas and oversized “tubs for two” (bubbles provided). Aspen features a turreted cathedral ceiling over the brass four-poster bed and bath with a luxurious brass-appointed eighty-gallon tub in a gardenlike setting while the Independence has a four-poster canopy bed, a sitting room with a bay window, and a private porch with mountain view. 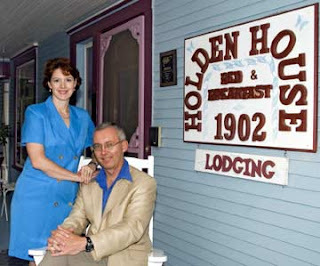 Holden House offers a breakfast in bed “Romance Package” for guests staying two or more nights in these two suites for an additional charge. Each suite offers similar amenities such as a tub for two and fireplace. For business travelers, we have a computer workstation and free WiFi. 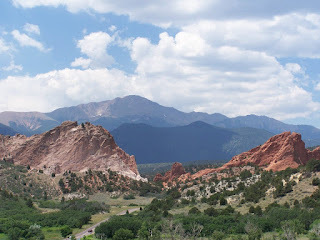 This entry was posted in accommodations, accomodations, bed, breakfast, colorado, historic, hotel, lodging, springs, travel by admin. Bookmark the permalink.